This primer offers readers an introduction to the central concepts that form our modern understanding of complex and emergent behavior, together with detailed coverage of accompanying mathematical methods. All calculations are presented step by step and are easy to follow. This new fourth edition has been fully reorganized and includes new chapters, figures and exercises. 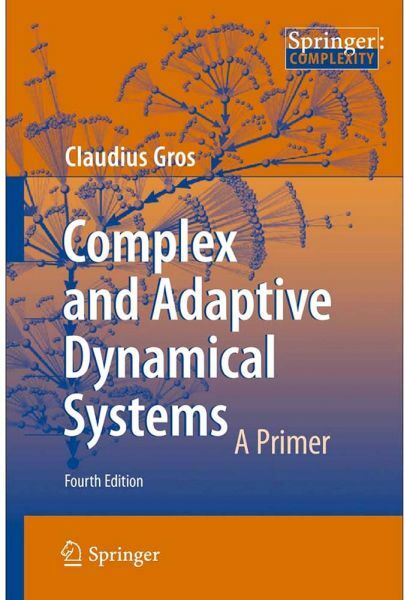 The core aspects of modern complex system sciences are presented in the first chapters, covering network theory, dynamical systems, bifurcation and catastrophe theory, chaos and adaptive processes, together with the principle of self-organization in reaction-diffusion systems and social animals. Modern information theoretical principles are treated in further chapters, together with the concept of self-organized criticality, gene regulation networks, hyper cycles and coevolutionary avalanches, synchronization phenomena, absorbing phase transitions and the cognitive system approach to the brain. Technical course prerequisites are the standard mathematical tools for an advanced undergraduate course in the natural sciences or engineering. Each chapter includes exercises and suggestions for further reading, and the solutions to all exercises are provided in the last chapter.